It's not much but I wanted to help in some way. Good luck Haylie, I know you have a lot of people who love you. Our hearts grieve with Haylie and the Christensen family. We have such wonderful and treasured memories watching Coleman grow into an amazing man. With much love for all who will miss him and hold his memory close. Praying for the Christensen Family! We are so saddened by your loss. All I can say is thank you... Haylie and Coleman's family are overwhelmed with gratitude as the support continues to pour in. This effort is truly a testament to the type of people that Cole and Haylie are... Once again thank you... With this tragedy there is so much unknown ahead, in order to meet our overall goal of making sure that Haylie and baby C are supported we have raised our goal to $25,000. Thank you once again for all of your contributions, shares and kind words offered. It truly means the world. Coleman Christensen was my best friend and my brother. Since the moment we met we have been inseparable and shared a lifetimes worth of memories. On February 21 my brother left this earth. Preluded by the overwhelming sadness, devastation and sinking of my heart when this dreaded news came to pass, it has been nearly impossible for me to comprehend the loss of someone I love as much as Coleman. It is in this sadness however that I am coming forward with a call to celebrate Coleman's contagious zest for life, and the way he brought laughter and joy to every room he entered, a call to celebrate this hometown hero, known for his performance on the football field in Vacaville California, and equally as much so for greeting every he passed in his unmistakable red jeep with a smile. It is with this celebration I will call out one of Coleman's best attributes - his ability to connect with people. No person knew this better than his long time sweetheart Haylie. All those who ever spent time with the two knew that there was something special about they way they interacted. This was confirmed on February 13th 2016 as Coleman proposed to the love of his life. In addition to affirming their lifelong commitment to each other, Coleman and Haylie are expecting to welcome a beautiful baby girl to this world in July of this year. 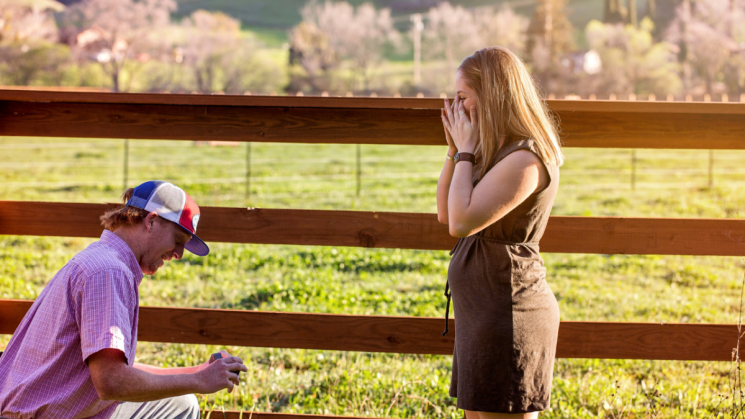 Most young newly engaged couples would be nervous and scared about a step like this but Coleman and Haylie welcomed the idea of starting a family together with open arms. With the marriage and child on the way it is with an even heavier heart that we are faced with the loss of Coleman. Coleman was an inspiration to live each and every day with passion and to always lend a helping hand to those you love. It is my hope now that we as a community and everyone who was ever impacted by Coleman can come together to support Haylie and their baby that is on the way. Together we can make sure the legacy of Coleman Christensen will live on through the flourishing lives of Haylie and their child. On behalf of everyone who loves Coleman, thank you for your support in this difficult time.